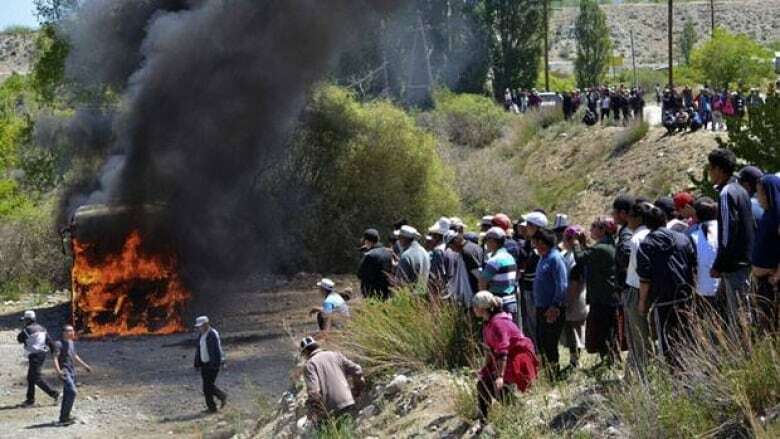 Protesters have lifted their blockade of a Canadian gold mine in eastern Kyrgyzstan, but their supporters in the south are continuing their siege of a local governor's headquarters, officials said Saturday. The mine is the largest foreign-owned gold mine in the former Soviet Union. It accounts for about 12 per cent of the Kyrgyzstan's economy and has been at the center of heated debate between those favoring nationalization and officials who believe that would deter much-needed foreign investment.